The Simoniz Platinum electric pressure washer is engineered to handle your toughest outdoor cleaning jobs. 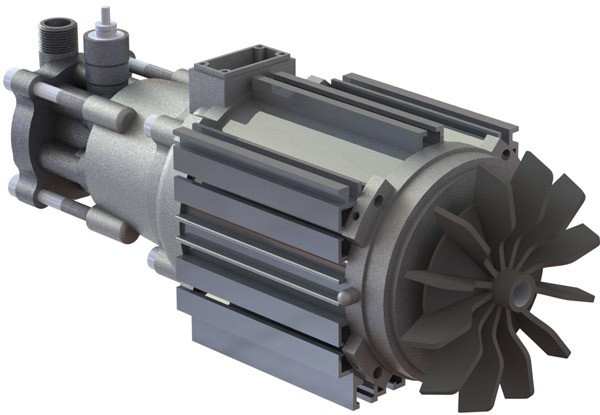 With a powerful and quiet induction motor, it delivers 2,000-PSI at 1.5 GPM for quick cleaning of driveways, decks, windows and other areas around the house. 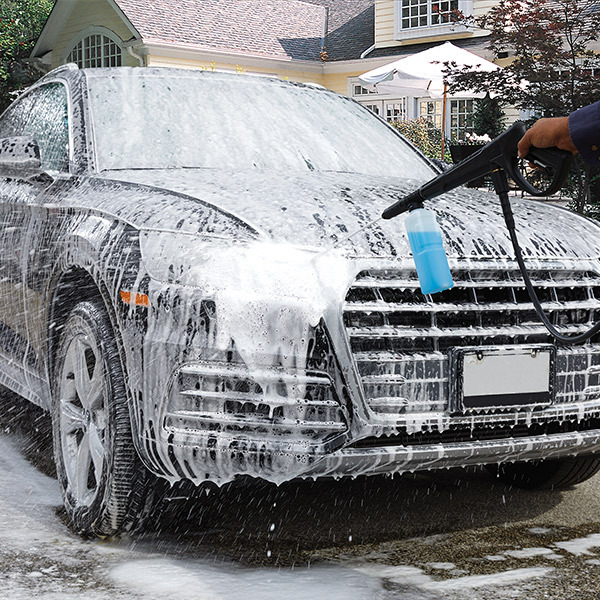 The patented foam blaster offers high-pressure soap application and hassle-free clean-up. With the 5-in-1 project dial, select different spray patterns with just a twist of the wrist. 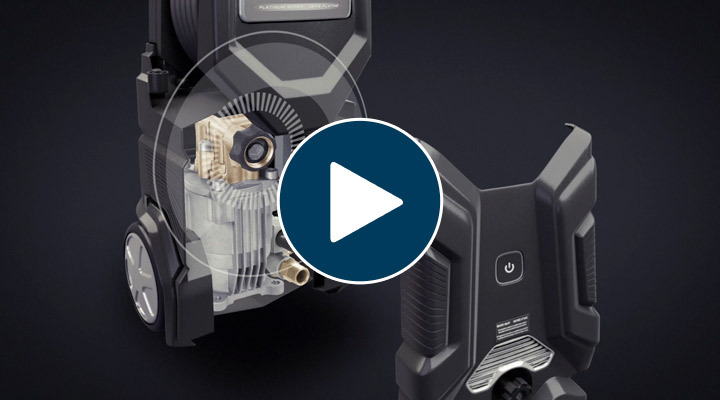 Combining power and efficiency for enhanced performance and longer life. 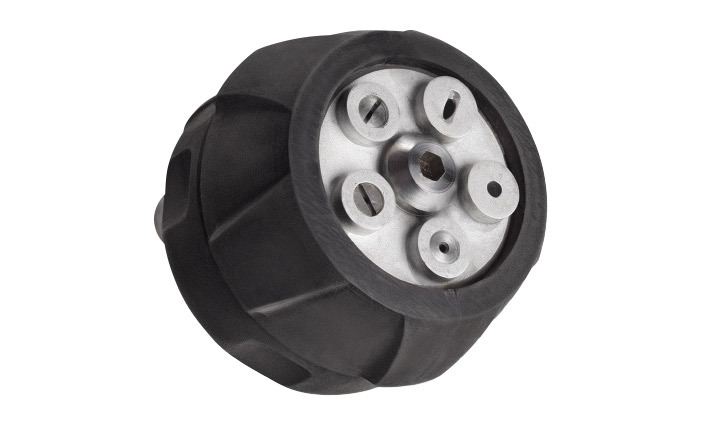 The Simoniz Platinum 2000 PSI is built with a maintenance-free all aluminium three piston axial cam pump. The most reliable design on the market. 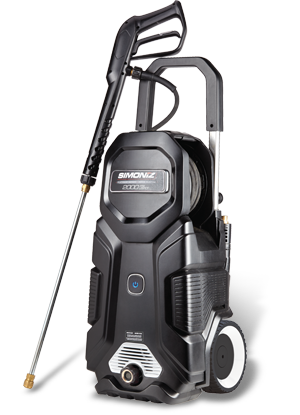 The Simoniz Platinum 2000 Electric Pressure Washer is powered by a rugged induction motor for quiet and maintenance-free operation and extended performance. 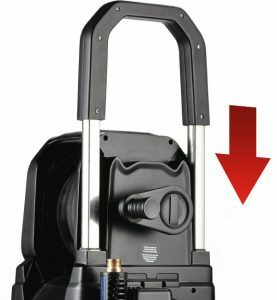 An internal hose reel allows you to neatly store your pressure washer between uses. Simply turn the hand crank to retract the high pressure hose. The retractable aluminum handle is designed for ease of transport and space saving storage. 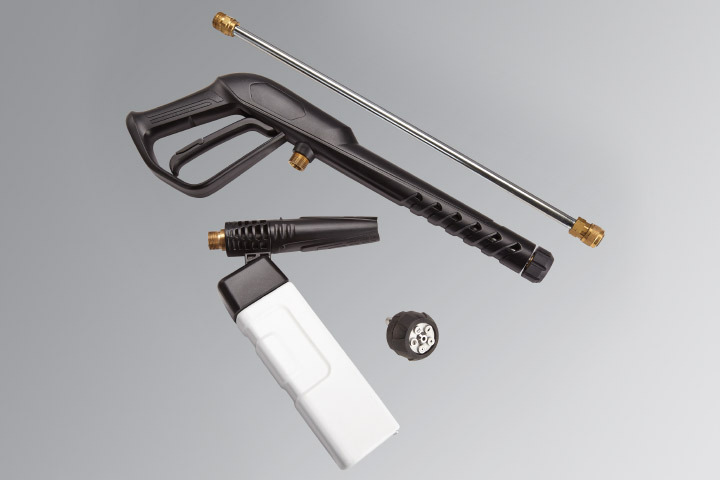 Change your pressure washer’s spray pattern without having to switch nozzles. The Simoniz 5-in-1 Project Dial offers 5 spray patterns for different cleaning jobs in a single convenient accessory. By rotating the nozzle you can choose between 0°, 15°, 25° spray patterns, as well higher water volume 0°+ and 40°+ spray patterns. A quick and easy way to start and stop your pressure washer with the push of a button. 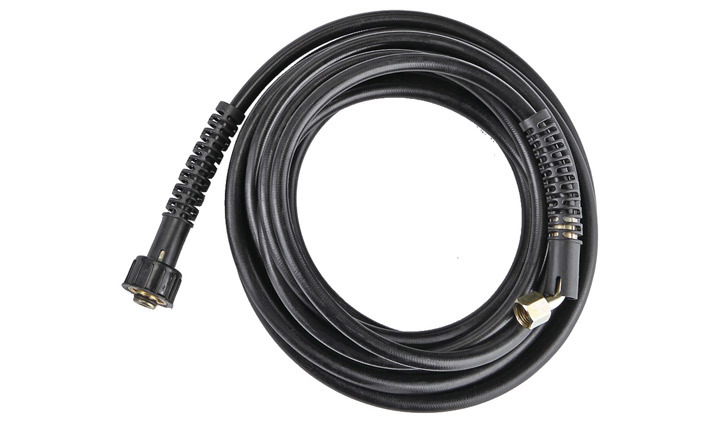 The flexible and kink resistant 7 meter rubber hose gives you plenty of reach and ease of movement.